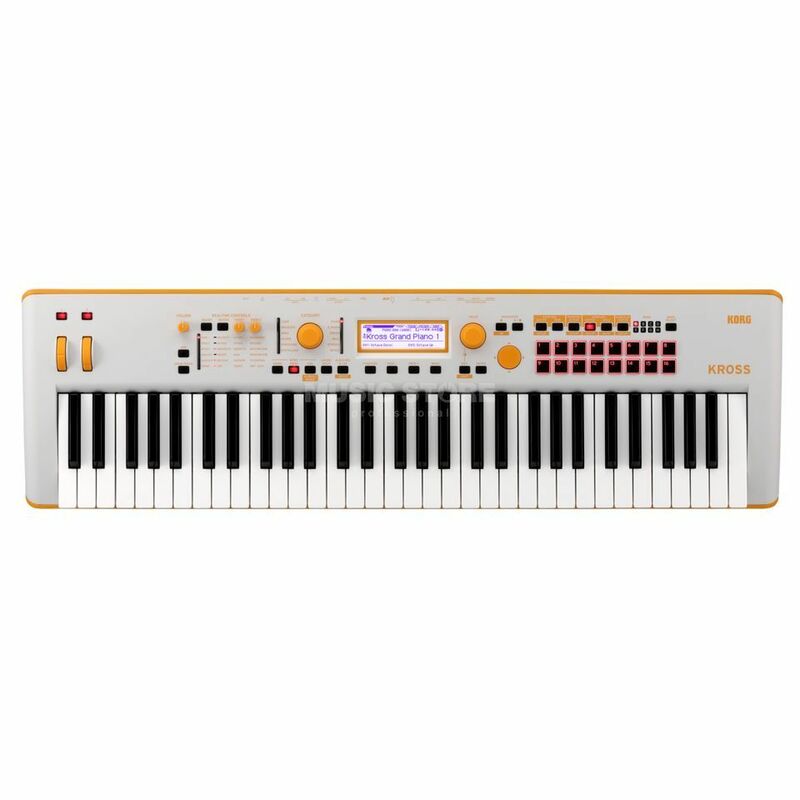 The Korg Kross 2 Synthesizer Workstation is a 61-note instrument which has a huge range of sounds in a compact, portable system all within a stylish design for users of all skills. Capable of running on battery power, this lightweight design still offers Kross’ legendary sounds and functionality. Offering over 1000x pre-set sounds, the unit also offers newly added PCM memory and brand new pad samplers with USB audio/MIDI interface perfect for any application. The Kross 2 is perfect on both on-stage or in the recording studio, allowing you to select a wide range of sounds and effortlessly shape it to your specification. This versatile synthesizer has been designed for pure creative freedom. The Korg Kross 2 now has 1075x different sounds, up from of 809x sounds. The new sounds include multi-layer pianos, electric pianos, tight strings and new drum kits that work perfectly with any band. The effects section has also been expanded, allowing for the simultaneous use of up to 7x effects: 5x insert effects and 2x master effects. A total of 134x effect types are available. A built-in stereo audio recorder lets you record your performances or record overdubs to an external source, such as vocals. Recorded sounds or imported audio files can be assigned to one of the 16x pads for playback using the Pad Audio Play function. You can attach a pad to play the accompaniment to your own live performance or to start sound effects. The step sequencer included with the Kross 2 sequences up to 64x steps, which can be recorded. This allows you to quickly program your own rhythm patterns or melody sequences. Via the USB audio interface you can connect the Kross 2 to your Mac or Windows computer for DAW recordings or play it with your iPad and iPhone. It is also possible to play the Korg Module App and the Plug-In Editor with the Kross 2. With them you can modify several parameters simultaneously on the computer or use the Kross 2 with a DAW as software synthesizer.